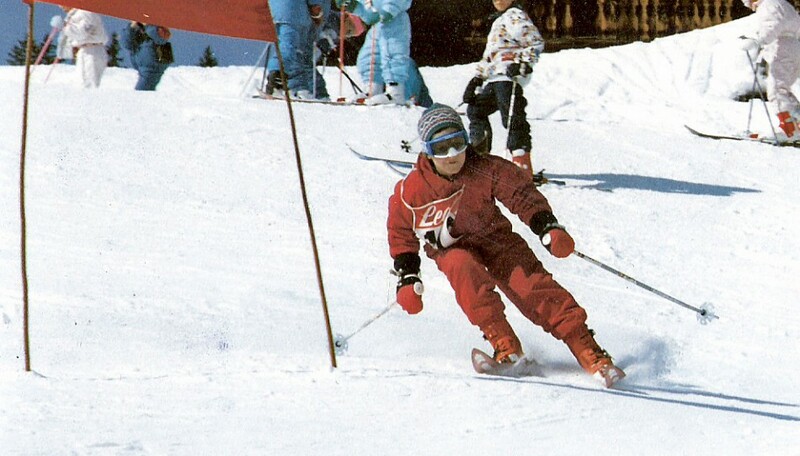 For the first 8 years of my life, I grew up in Lech am Arlberg and started skiing at 3 years of age. My sister and I grew up in a winter paradise with the closest ski lift only 100 metres away from our chalet. My Mum used to send us to ski school instead of kindergarten, and Dad – who’s a ski instructor – spent a lot of time with us on the mountain. At the age of 8 I moved to Torquay, Australia, and lived next to the beach. I didn’t return to live in Austria until I was finished with high school, but I still managed to get 6 weeks of skiing in per year in the ski school in Lech. 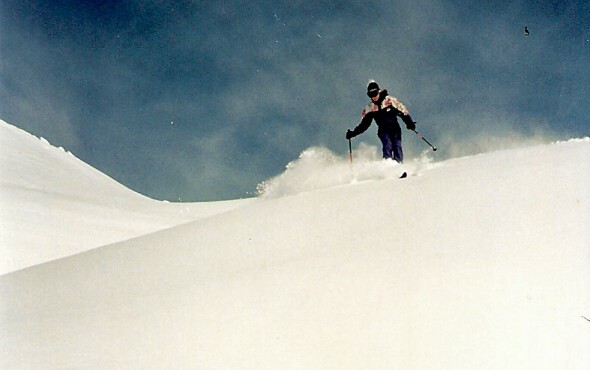 My skiing world was all about making perfect, rhythmical turns straight down the fall line in all types of snow conditions, scooping tracks and creating symmetrical patterns in the snow in the true, traditional Arlberg style. Then, in February 1998, something remarkable happened. My ski instructor friends and I were out of work due to extreme snowfalls and bad visibility. No one could leave or enter Lech due to high avalanche risk. We spent 3 solid days skiing a line under the Kriegerhorn lift in Lech. For the first time ever I was skiing fast, long turns and dropped cliffs. Of course I bailed every time, but in the heavy snow fall, it didn’t matter. On the fourth day, the sun came out, and I was tearing it up with my mates, headed straight for the cliff we sessioned, launched it, stomped it, and then arced 4 long and fast turns down to the bottom of the slope. For me, it was a whole new world waiting to be discovered, and I was hooked. In 2004 I entered and won my first big mountain contest, the Red Bull Snowthrill in Slovenia. Today I am a professional freeskier and devote my time entirely to freeskiing. Skiing professionally allows me to live a life full of excitement, fun, and diversity, but it also involves certain risks. Understanding and learning about nature and staying safe in the mountains is a major aspect of being a big mountain rider. 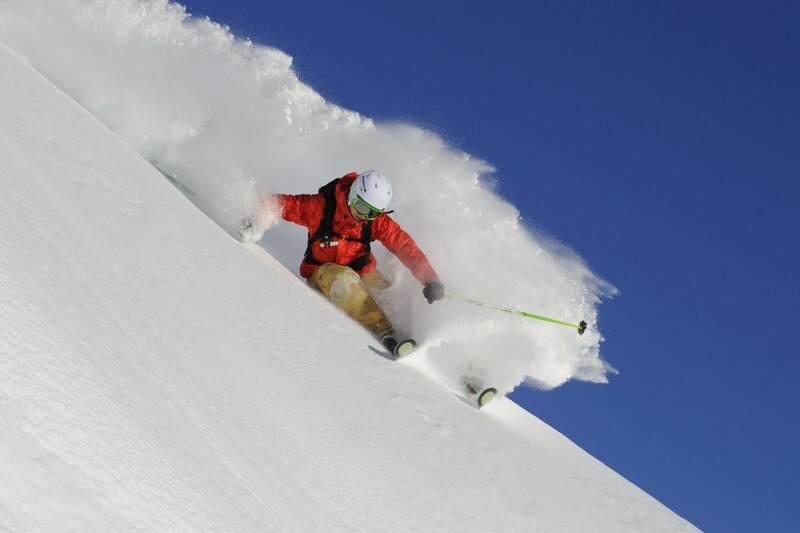 I spend some of my time in winter passing on this mountain knowledge as a professional ski mountain guide and a director of freeride camps – which is a great challenge for me.